Went on an excursion down Union Lane and Stevenson Lane in Melbourne. 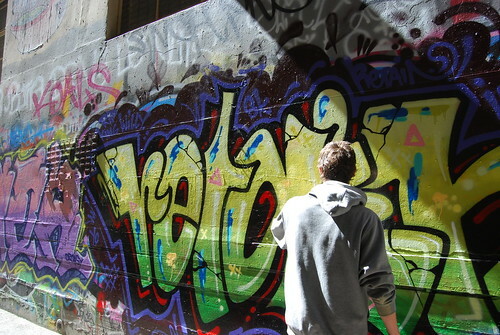 The former, Union Lane, had some artists creating their works. I love it when a city allows such awesome means of expression. Hell, my city posts "Notices of Violation" when I go on travel for a week, and the grass gets too long.